Winners of the TravelMole UK Awards 2018 have been revealed. 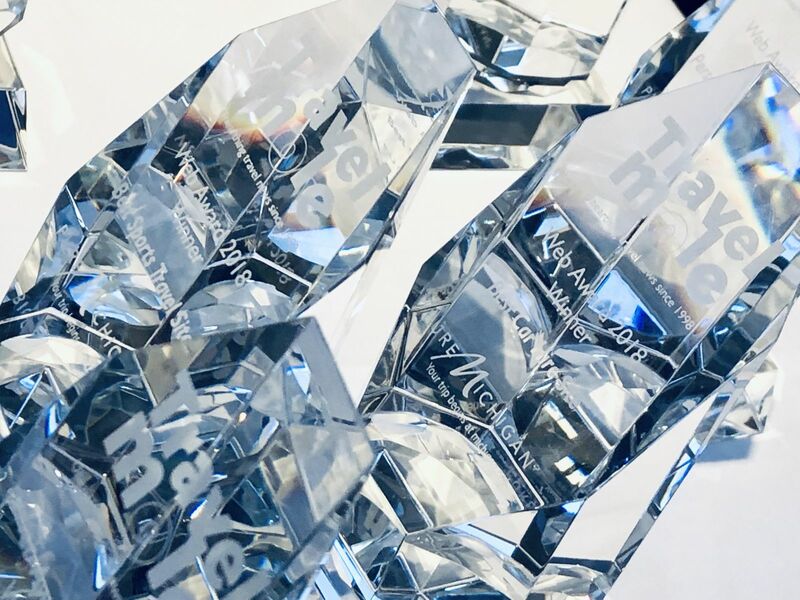 The awards, now in their 14th year, recognise travel companies, tourist boards and suppliers that have made a significant impact in web, social, mobile and technology. TravelMole readers were invited to vote for shortlisted entries. The award presentations took place on board a City Cruises boat on the Thames yesterday. Click here to see pictures and click here to watch a photo montage. Platinum sponsor was Pure Michigan and the event celebrated its music heritage with Motown, Techno, and the music of Del Shannon, Alice Cooper, Bill Haley, and Eminem and others who originated from the state. Other sponsors included Brand USA, Travel2, designate and TravelTek. A charity auction at this year's event raised just under £5,000 for Missing People, a charity to help find missing people on behalf of the friends and family left behind and to provide specialised support to ease their heartache and confusion. It runs a free, confidential helpline 24 hours a day by phone, text and email to support missing children and adults, and their loved ones. TravelMole's Graham McKenzie said: "What a fantastic turn out once again. We'd like to thank everyone who came along to celebrate with us and to honour this year's winners, and to help raise money for this great charity. "Huge congratulations to those who won their categories but to all those who made it onto the shortlist too. They are all worthy of recognition." He also thanked the sponsors of the event and to the evening's hosts, City Cruises, and after-party DJs from community radio station 1BTN. 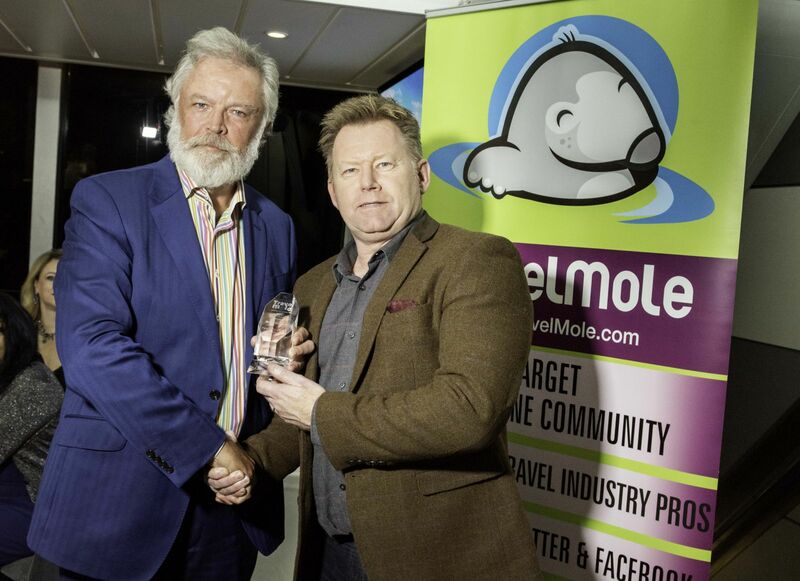 A special award went to Danny Crowe, planning director at TwentyCi, for his contribution to the travel industry and his support for TravelMole. Crowe, pictured here with TravelMole's Graham McKenzie, was head of marketing for Thomas Cook in 1982-1992 and then worked for a number of other travel companies, including TMS Direct, Ladders Agency and Friday Travel, before leaving the industry to work for companies in other retails sectors. In his current role with data analysis and marketing company TwentyCi he hopes to work again with the travel industry.